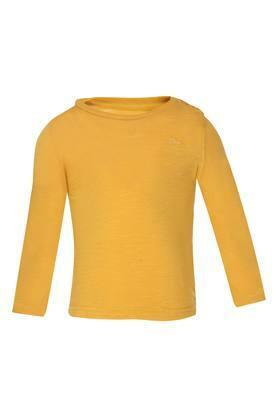 Your son will look extremely stylish wearing this tee presented by Mothercare. It flaunts a solid pattern that will make it his favourite in no time. Besides, the three quarter sleeves along with the round neck add to the design. It is also comfortable to wear, owing to the use of a superior quality fabric. 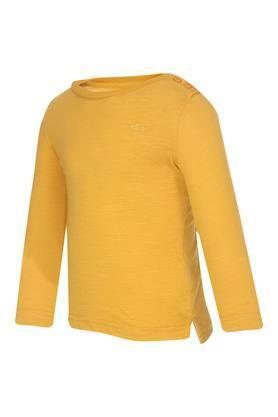 Offer optimum comfort to your son by making him wear this tee, which has been tailored with a fine quality fabric. 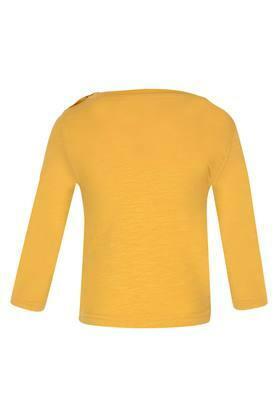 Ideal for casual occasions, it will look good with a pair of jeans and canvas shoes.